Eurodollar is trying to form an ascending structure again. If the price fails to stay above level of 1.2470, it may result in an alternative scenario and a new descending movement towards level of 1.2344 or even 1.2200. However, according to the main scenario, the pair may test level of 1.2498 and then resume falling towards level of 1.2344. Pound has expanded its consolidation channel downwards. 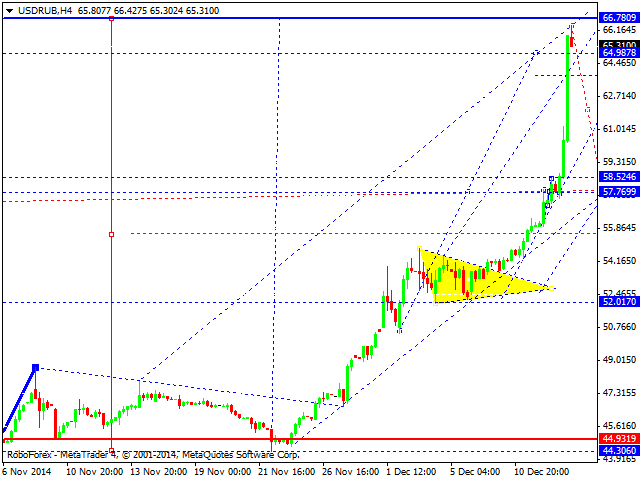 Such scenario implies that the pair may continue forming a descending wave with the target at level of 1.5535. We think, today the price may form a consolidation channel as a downside continuation pattern. Franc is making another attempt to reach level of 0.96. If it fails, the price may return to level of 0.9735. Later, in our opinion, the market may continue falling to break the minimum. Yen has reached the target of its descending wave. We think, today the price may extend this wave towards level of 115.50 and then return to level of 118.66 as a correction towards the first descending wave. We should note that such decline may continue without serious correctional structures. 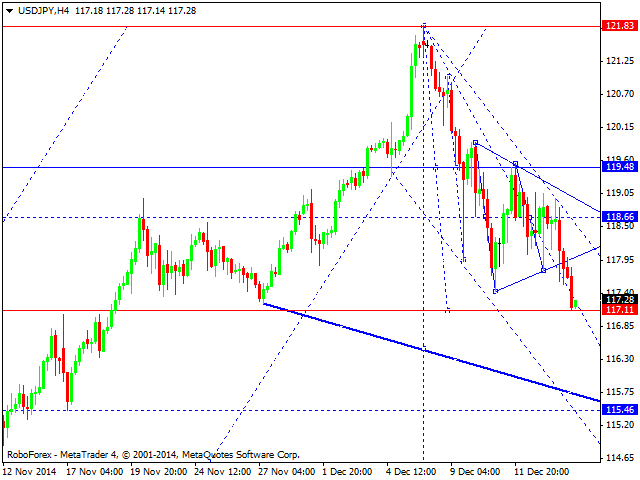 The next downside target is at level of 113. 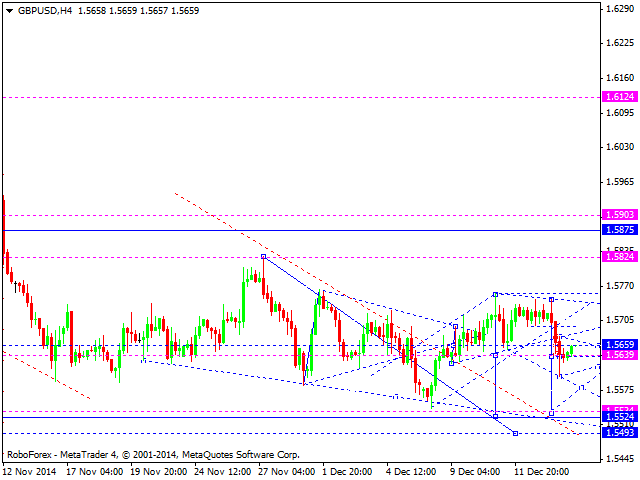 Australian Dollar is still falling inside the downtrend and reaching new lows. 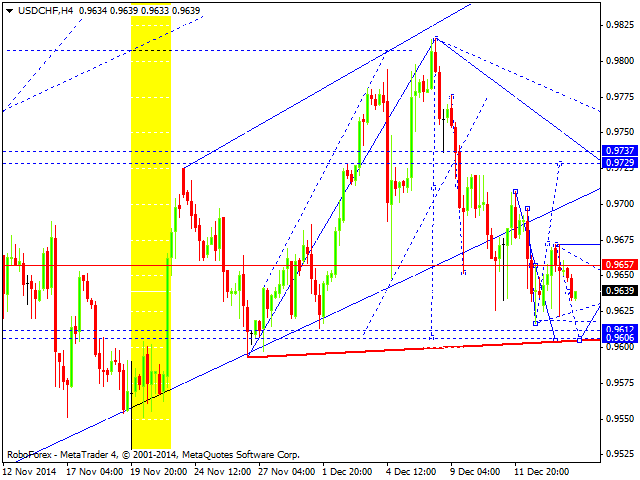 We think, today the price may reach level of 0.850. 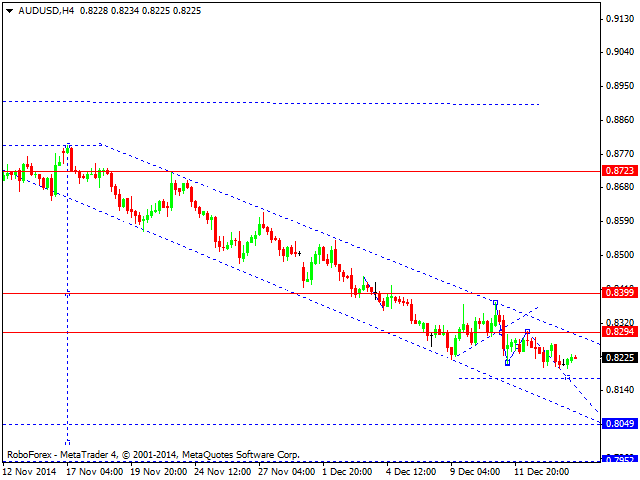 The main downside target is at level of 0.7800. As Crude Oil continues falling, Ruble continues moving upwards. We think, today the price may make a fast descending movement to reach level of 57.80, break it, and move towards the next target at level of 52. 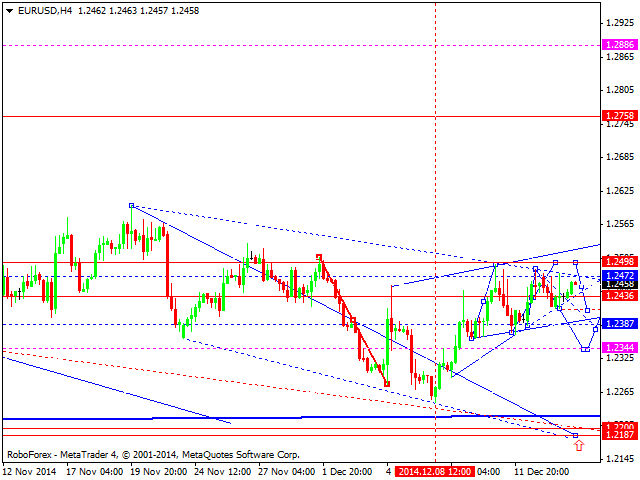 After that – fall towards level of 44.90. 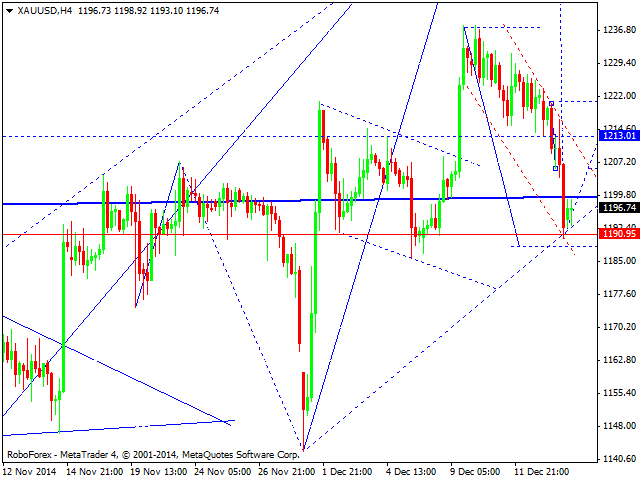 Gold hasn’t been able to form a reversal structure and right now is still falling. We think, today the price may extend this correction towards level of 1188. Later, in our opinion, the market may leave its descending channel and start growing towards level of 1250.